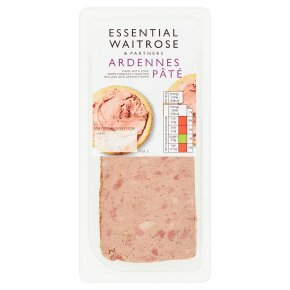 A traditional slowly baked coarse pork liver pate, ideal served with a crusty baguette. Waitrose have selected assured farms in Belgium demonstrating exemplary standards of animal welfare and traceability. Allergy Advice May contain nuts and peanuts.